Aesthetic podiatry is an innovative approach to foot and ankle care that combines treating your underlying issue, while simultaneously enhancing your toes and feet. Top-ranked podiatrist Mariola Rivera, DPM, of Aesthetic Podiatry & Sports Medicine Center provides several types of aesthetic podiatry treatments in White Plains, New York. Find out which type of aesthetic podiatry service is right for you by booking an evaluation today. Click on the online scheduler, or call the office directly. Why do I need aesthetic podiatry? No matter what it is that you don’t like about your feet or toenails, you can get treatment at Aesthetic Podiatry & Sports Medicine Center. What happens during an aesthetic podiatry treatment? When you come into Aesthetic Podiatry & Sports Medicine Center for your aesthetic podiatry consultation, you meet with Dr. Rivera, who has extensive training and expertise in advanced aesthetic solutions. She evaluates your feet and ankles and talks with you about your concerns. Once Dr. Rivera gets a better understanding of your specific condition and what you’d like to achieve, she educates you on all the possible treatment solutions, so you can work together to ensure you achieve the results you want. 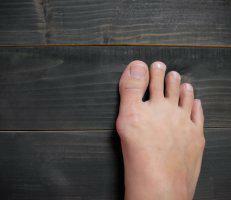 There are parts of aesthetic podiatry treatments that are a little uncomfortable, depending on your specific treatment. For instance, if you need a nail removed because it’s severely ingrown, the initial stick of the needle can cause some burning. Once you’re numb, you won’t be able to feel a thing. Dr. Rivera doesn’t want you to worry about pain or discomfort during your aesthetic podiatry procedure, so she talks with you ahead of time to let you know what to expect and makes sure you’re numb before getting started. 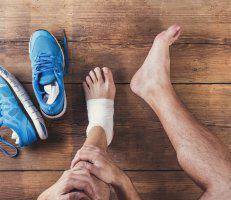 To ensure you’re comfortable afterward, especially after surgical correction of webbed toes, Dr. Rivera may prescribe pain medications to minimize your discomfort, so you can focus on healing and getting back to your regular activities. Learn more about modern aesthetic podiatry services offered at Aesthetic Podiatry & Sports Medicine Center by booking a consultation. Schedule online or over the phone.